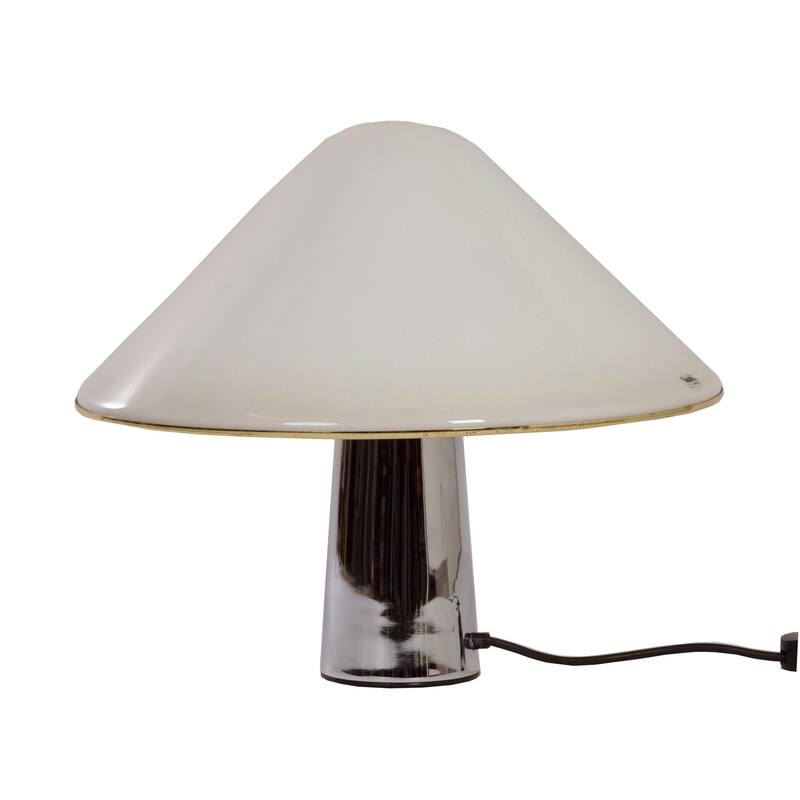 White Mushroom Lamp by Guzzini from the 1970s with special brass rim at the bottom of the shade. Considering its age this chrome table lamp with white plastic shade is still in very good condition. The lamp is marked, iGuzzini (see photos). Dimensions: h x d = 41 x 48 cm. E27, Up to 60W.